The 200 families living there mostly worked in the local coal mine that was created by Communism’s rush to industrialize the country and create a railway network. After the government’s economic collapse, the mine was closed. Little regard was given to Ibë’s residents and where they would make their living without the mine. Most of the people didn’t own land beyond what their house was built on and had little to no experience with agricultural work. Those who were able traveled to the capital for work or left the country. The less fortunate were left to sink into the bog of poverty. When World Challenge’s partner entered Ibë, the town and its church had atrophied into those who felt they had nowhere else to go and no hope for a better future. Hatixhe Kaca grew up in a secretly Muslim family under the oppressive Communism régime. 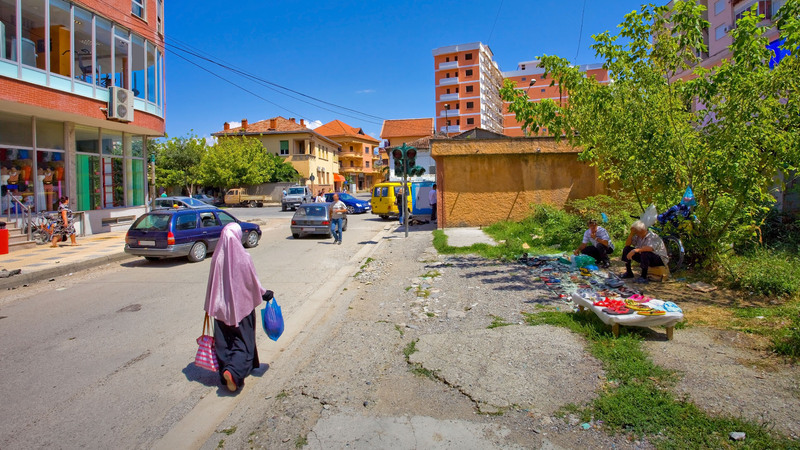 She was 12 when the government fell and Albania opened up to the world. Unfortunately, many of the advances and social improvements that followed would not be felt in Ibë until much later, if ever. Hatixhe married and had two little girls. Shortly after, though, her husband died. Her life became consumed with daily survival, a process she described as an emotional shell to protect her from loneliness and fear. Hatixhe’s friend went to the church and told World Challenge’s partners about the desperate situation. They offered to visit Hatixhe, and the friend joyfully rushed back with the news. “I was surprised,” Hatixhe recalled; “but then I said to myself ‘Ah, it's just a visit. There won’t be any problem. When I saw them coming, however, I was suddenly aware of the miserable condition of my house. I was bitterly ashamed, but they were so kind. They had a warmness that I missed. The pastor’s wife stayed in contact with Hatixhe and helped her learn more about the son of God. World Challenge partners began forming community health groups and invited her to join. She was startled to learn that Jesus cared about her and her daughters’ physical conditions and well-being as well as their souls. Eventually, she came to trust in Christ, that he would take care of her no matter what happened in her life. Hatixhe quickly became more and more involved in the church, curious to draw closer to the God who cared for her and those around her. The church facilitated several community projects like agricultural and small business classes. Through these, they encouraged families to cultivate seasonal gardens and start family businesses. Church members started saving and investment groups so they could support anyone who wanted to start a business. With their help, Hatixhe was able to not only support herself and her children but also make sure her girls continued their education. Eventually, both her daughters went on to a university. They also serve in the church’s youth group and have grown up into a strong faith in Christ.